A wedding preview day will be held on Sunday 28th March from 10am – 4pm to showcase Hylands House in all its wedding glory. 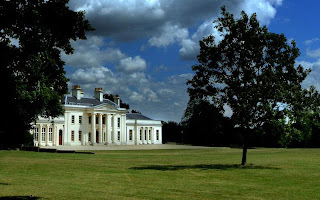 Dreamwave Events will be there along with other suppliers to chat with you and to answer any questions about planning your wedding at this amazing venue in Chelmsford. For more information please contact Hylands House on 01245 605555. All of us here at Dreamwave have been very busy boys this week. 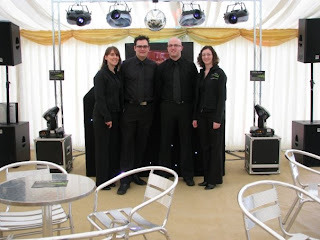 We have provided our DJ & Disco services to 7!!!! Wedding couples. 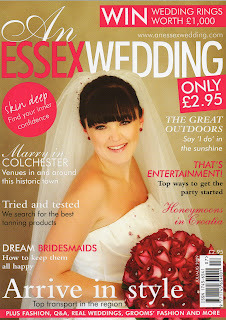 Our week took us national with weddings in the Cotswolds and Oxfordshire as well as Essex & Suffolk. Mr & Mrs Ramnought, Mr & Mrs Gadd, Mr & Mrs Oldershaw, Mr & Mrs Bates, Mrs & Mrs Indge, Mr & Mrs North and Mr & Mrs Smith. We wish all of you all the best for the future as husband and wife. 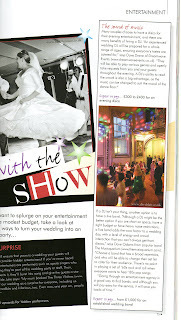 ‘Keep an eye out for featured wedding from a selections of these client in the next few weeks’. I am sure this Blog has been eagerly awaited. I would like to personally send our congratulations to our very own Dave & Hayley (the new Mr & Mrs Drane!) 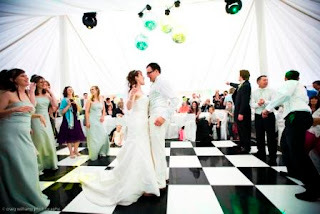 They were married on 23rd May 2009 at Our Lady of Light Catholic Church in Clacton on Sea, followed by the wedding breakfast and evening reception at Le Talbooth in Dedham. The whole day was magnificent and could not have run smoother. 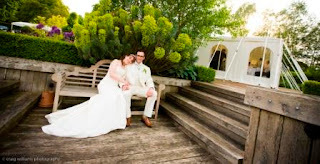 Dave & Hayley had spent many, many months planning every last detail (and it showed!). They both would like to extend their thanks out to the selected suppliers within the wedding industry who made their day even more special. They have these messages for them…. 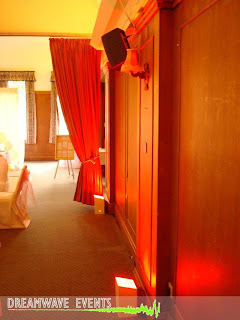 “A last big special thanks goes to the crew who without them the evening party would not have been so amazing and the marquee would have not looked as it did. Mark, Paul & Martin, your efforts very early on the day left both myself and Hayley speechless when we walked into the marquee for the entrance! We both were so over whelmed. The Guys had flown not 1, not 2, but 4! 50cm mirror balls in the roof along with 2 moving heads. 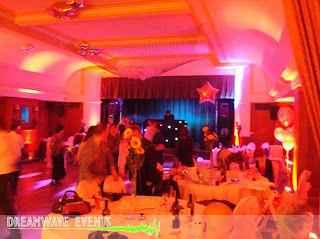 more effect lighting, LED up-lighters and a black & white dancefloor, really did exceed expectations. You will see from the pictures taken by Craig & Kate below that Dave & Hayley had the best day of there lives!